As we prepare for the Screen Actors Guild Awards, celebrities have begun to arrive on the red carpet looking more stylish than ever. We all know Giuliana Rancic, but one of her co-hosts is killing it and we haven't seen him quite as often. 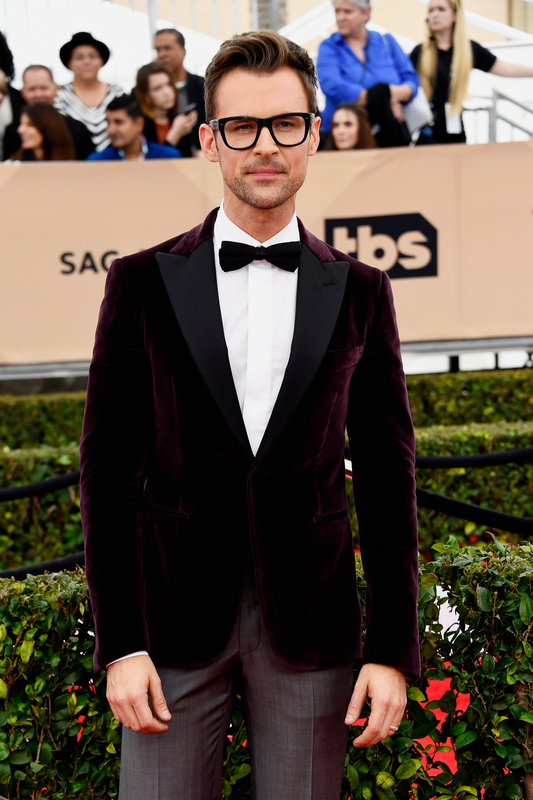 So, who is Brad Goreski on E! 's Live From the Red Carpet? If he looks familiar, it's because he's a fashion expert who's no stranger to the small screen. Goreski first stole our hearts when he joined Rachel Zoe's reality show, The Rachel Zoe Project, in 2008 as her assistant. But, the two had a falling out in 2010 and he told The Huffington Post that he "had no idea how insane it was going to be" filming the show. In 2012, Goreski got his own spin-off entitled It's a Brad Brad World which followed him as he went into business on his own. It didn't take off, but he found a home on E! and it seems like things are going exceptionally well for him there. Goreski is currently a panelist on Fashion Police — he replaced George Kotsiopoulos as co-host in 2015, so we can expect to see a lot more of him on the network (both on and off the red carpet). He also runs a fabulous website which you should definitely check out if you love fashion. Aside from his gig on E!, Goreski keeps busy with his role as Exclusive Brand Stylist for Kate Spade New York — and yes, this gig is as glamorous as it sounds. It involves traveling all over the globe to to style print and online ad campaigns. He also has an impressive client list that includes the likes of Jessica Alba, Demi Moore, and Rashida Jones — so, if he looks right at home on the red carpet, it's because he's accustomed to styling celebs for their awards show appearances. If the SAG Awards are any indication, we can expect to see Goreski hosting many more red carpet shows for E! in the future.